A friend asked me to share an apple pie recipe with her, so here it is 🙂 Let me know how it turns out Mel! 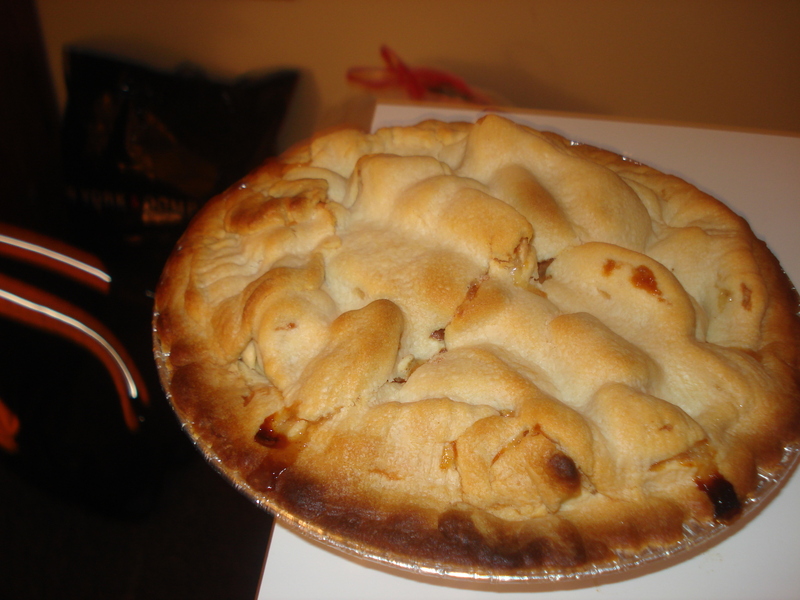 Apple pies can be tricky, the most common problem people face is having a watery pie. The best kind of apple to use to prevent this from happening are Granny Smith apples. Also, adding some cornstarch to the filling helps thicken it up. I’m definitely not a pie expert but here is a recipe that I’ve successfully used several times. Enjoy! 1 In a food processor, combine flour, almonds, salt and brown sugar, pulse to mix. Add butter and pulse 6 to 8 times, until mixture resembles coarse meal, with pea size pieces of butter. Add water 1 Tablespoon at a time, pulsing until mixture just begins to clump together. If you pinch some of the crumbly dough and it holds together, it’s ready, if not, add a little more water and pulse again. Remember, if you’re not feeling adventurous enough to make pie crust, then in the frozen food section at the grocery store, there is pre-made pie crust! If you’ve never made homemade apple pie before, it can seem a little overwhelming. But if I can do it, you can do it!